Nintendo of Canada is inviting you, and your family this Labour Day long weekend to the Ontario, and Montreal Science Centres. Play the highly anticipated Super Mario Maker, and experience the unique and mind-boggling levels that are sure to make this game a smash hit. You will also have the chance, using stickers and posters, to create a Super Mario Maker level in real life! The best part about it is, you can take your creation home to show all your family and friends. The fun doesn't stop there! 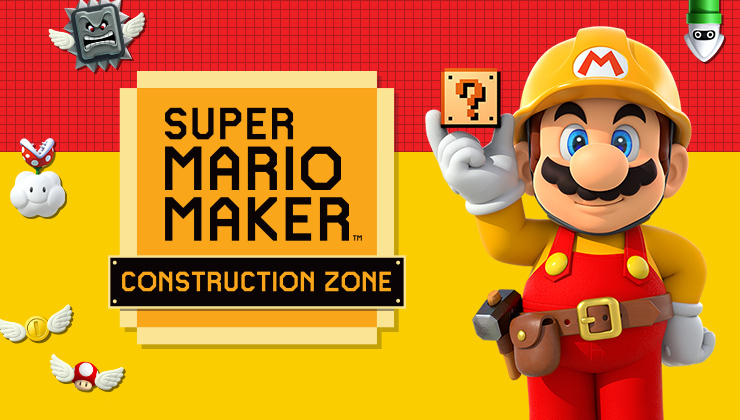 Both the Ontario, and Montreal Science Centres will have special Super Mario Maker construction workers to help you and your family create your very own Super Mario Maker level in the game. This Saturday, September 5th, Mario will be stopping by the Ontario Science Centre from 10:30am to 2pm to meet his fans! Montreal Science Centre fans will be able to play or watch Super Mario Maker on the magnificent IMAX screen this Saturday from 11am to 1pm. Make sure you get there early as there are a limited amount of seats available. Mario will also make an appearance in Montreal, and visit his fans and friends from 2pm to 4pm. If you're looking for something fun to do with your family and friends this Labour Day weekend, head on over to either the Ontario or Montreal Science Centres, its sure to be a fun time for everyone. Check out this Super Mario Maker over view from Nintendo, and let me know in the comments section what excites you most about Super Mario Maker.